May bank holiday weekend sees the return of Geronimo to Tatton Park. If last year is anything to go by, it promises to be fabulous fun for all the family. When we became Thomas Land ambassadors at the beginning of the year, I promised to bring you exciting news from the theme park. Well, here's a fantastic piece of information that I am pleased to share with you. Drayton Manor Park is expecting to welcome its 50 millionth visitor within the first two weeks of June. 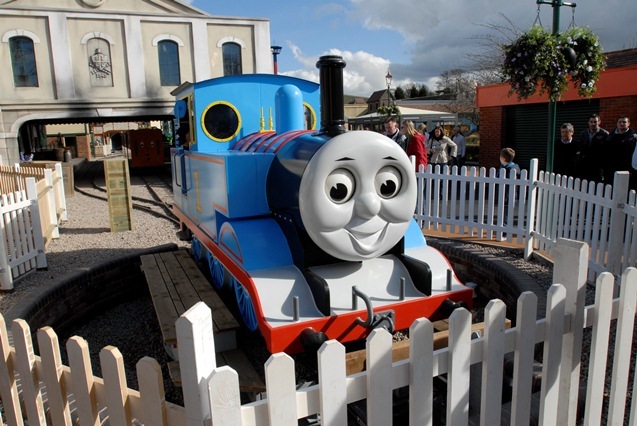 On the day, the lucky winner will receive refreshments and lunch in a VIP Thomas Land room, a personal visit from the Fat Controller, a personal guide for the day, fast pass entry and exit for the rides all day long, a photo pass to collect up to four photos and a meal for four at the Grill Inn restaurant. Drayton Manor is also offering the winner a five year Season Pass, providing unlimited entry to the park, plus a special Stay & Play package for the Drayton Manor Hotel valid for 12 months. The lucky winner can also spend a night in the presidential suite or a Thomas themed room at the four star hotel! To be in with a chance of winning you can book tickets on the website www.draytonmanor.co.uk or call 0844 472 1950. Good luck! Plus, 20% off ticket prices all this WHITSUN WEEK (28th May – 5th June)! Just enter code WHITB20 when buying your tickets online. If arts and theatre is more your thing, check out the amazing line-up on offer at the Waterside Arts Centre in Sale. From David Walliams' Ratburger to a screening of the new Stars Wars film, you will find performances under a variety of genres to suit little ones and grown-ups. We always love visiting Waterside Arts and hope to bring you more about all family-friendly happenings at this delightful venue. The Museum of Science and Industry (MSI) in Manchester is a fantastic day out for all the family. The permanent exhibits in the MSI are exciting enough, from large machines, locomotives to fighter aircraft. In addition, the daily talks and demonstrations are inspiring and informative. Over the next couple of weeks, the MSI is hosting a kaleidoscope workshop suitable for ages 5+ where children can make their own kaleidoscopes. Older children can participate in the Explosions workshop, suitable for 7+. Entry to the museum is free and donations are voluntary. 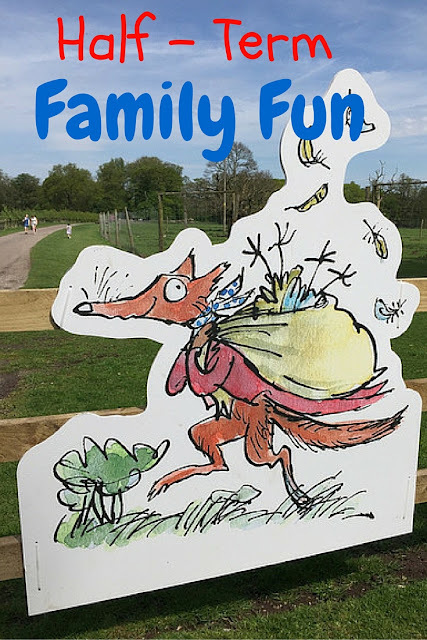 This is my round-up of must-do, must-see things for this half-term. What are your plans for the school holidays? Tatton park is a lovely park. It's close to us so may take the kids there this half term. These sound like fun places to visit. 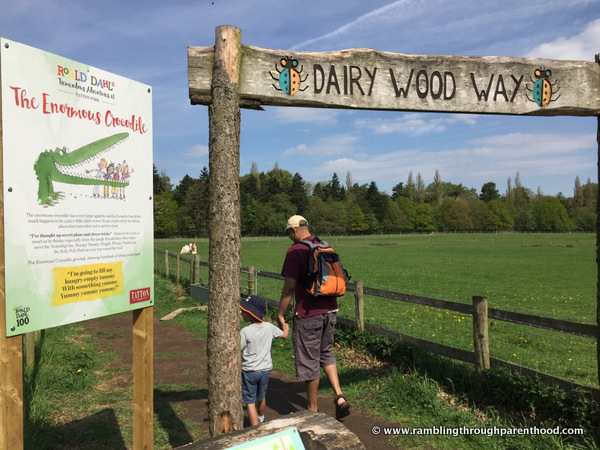 I really want to take my daughter on some adventures in the summer holidays. Thanks for the suggestions. The museum of Science and Industry looks exciting and I have never been to Manchester so that would be two birds killed with one stone. It looks like a lot of fun! We're at Tatton this weekend for Geronimo (hoping a) it's dry and b) it's better than the Leeds one seemed to be given we've paid quite a bit for it).